Vehicles that are more than three years old are legally required to take an MOT (Ministry of Transport) test every year to check it is roadworthy. This comprehensive MOT guide will cover off everything you need to know, including what gets checked in a test and what to do if your vehicle fails. We'll also look at an MOT checklist to help you prepare for the test. When do I need to get an MOT test? How can I find out when my MOT is due? Is there a grace period for an MOT? Can I drive without an MOT? How can I prepare for an MOT test? Do council MOT test centres have better pass rates than normal garages? How long does an MOT take and what gets covered? Who doesn't need an MOT? Why do most vehicles fail their MOT? What if your car fails its MOT? Can you drive with a failed MOT? What does an MOT advisory note mean? Below we cover all of the points you need to consider as a car owner in the build up to your car's annual MOT check. When your car is three years old from the date of its registration it will need its first MOT test - and then it needs to be retested every year on the anniversary of its last MOT test. 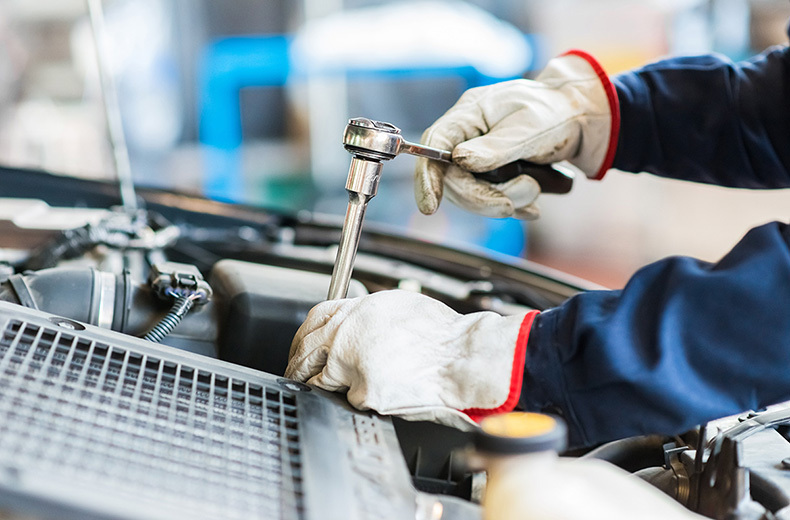 Once passed, you'll get an MOT test certificate with the date of test on it, and the date of expiry so you know when the vehicle requires a new MOT. If you choose, you can get the vehicle retested up to a month (minus a day) before it expires and keep the original renewal date. If your car fails its MOT, then you can only take your vehicle away if your current MOT certificate is still valid and no 'dangerous' problems were listed in the new report from the failed MOT. Otherwise, you must get it repaired before you're allowed to drive. If you decide to take it to another garage to have the failed defects addressed then your car will still need to meet the minimum standards of roadworthiness at all times or you can be fined. No. As soon as your MOT has expired it becomes illegal to drive your car on the road. Doing so risks prosecution. You also cannot tax a vehicle without a current MOT certificate. No. You can’t drive a vehicle without it having a valid MOT certificate. The only exception is that you're able to drive your vehicle to its MOT test, so long as the test has been booked. If you own a vehicle and are not planning on driving it you must keep it off the road and will have to declare it SORN. Many vehicles fail an MOT for small issues which could easily been prevented before the test. You might be surprised at what can fail an MOT - some problems are relatively minor. It’s a good idea to prepare an MOT checklist a couple of weeks before the date of inspection to make sure your vehicle is in the best possible condition it can be, this will allow you to proactively fix the issues and avoid any inconvenient circumstances if the vehicle fails the test. Keep your car clean, inside and out. A boot full of clutter and an excessively dirty car - especially if the number plate is no longer visible - can cause a failed MOT. Top up all fluid levels - screenwash, brake fluid and oil. Check that the horn works - give it a quick honk! We’ll work through the areas to check in alphabetical order, but nonetheless it seems fitting to start with brakes. Along with tyres, these are the most safety-critical components of all, and they must work properly to pass the MOT. Testers usually put the car on rollers to check the brakes decelerate it effectively, and that they’re correctly balanced – i.e. that it stops in a straight line. The pedal rubber must not be worn to excess and the ABS warning light must work if anti-lock brakes are fitted. The handbrake/parking brake must work and hold the car firmly, even on a steep incline. Brake condition is also assessed by examining the discs, pads and calipers, plus the relevant pipes and cables. Under the bonnet, the brake servo and master cylinder will be examined, too. Sharp edges on the bodywork caused by corrosion or accident damage are not permitted, as they could injure pedestrians. Rust is an MOT issue more generally, particularly for older cars. Excessive corrosion on safety-related parts, such as the steering and brakes, is a no-no, while rust within 30cm of these components may also result in an MOT fail. Testers will check that the doors can be opened from inside and outside the car, and that all openings – including the bonnet and tailgate – can be shut securely. Emissions are tested using specialist equipment connected to your car’s exhaust. The legal limit varies depending on the age of the vehicle, with much stricter standards for newer cars. Visible smoke from the tailpipe may mean an MOT fail – as can excessive noise. Boy racers, beware. The tester will also check both the exhaust system and fuel filler cap are fixed securely to prevent possible leaks. A simple one: the horn must work, and be loud enough to be audible to other vehicles. Also, ‘novelty’ car horns that play multiple notes or tunes are not allowed. All lamps must be working correctly, including headlights, tail lights, indicators (inc. hazard lights), side lights, brake lights and rear fog lights. The latter are only required on cars built post-1986, and must activate a tell-tale symbol on the dashboard to alert the driver when they’re switched on. The alignment of the headlights is also checked – and adjusted if necessary – to avoid dazzling oncoming traffic. All cars built after 1 April 1980 must have two red rear reflectors. Find out how to check your lights here. Seats should be securely fixed, with seatbelts a legal requirement for all post-1965 cars (and strongly advisable on those built earlier). Belts need to be securely fixed – including the clip/locking mechanism – and in good condition. Inertia-reel belts should also retract properly to fit around the driver. Steering faults are not easy to check or fix yourself. The tester will ensure the steering wheel and column are in good condition and fixed properly, and that there isn’t excessive ‘free play’ in the system. The steering bearings are inspected for wear, while all bolts, clamps, gaiters and universal joints should also be checked. The operation of power steering (fitted to virtually all modern cars) is tested with the engine running. The wheels must not foul the bodywork on full lock. Again, these checks are probably best left to the experts. Testers will examine the general condition of the suspension, looking for corrosion, cracks or fluid leaks. With the car jacked up, they will ‘bounce’ the suspension to ensure the springs extend and rebound correctly, and that they’re adequately damped by the shock absorbers. If your car has a tow bar fitted (for pulling a trailer or caravan, for example), it must be secure and not damaged or corroded. Your car’s Vehicle Identification Number (VIN) – also known as the chassis number and found on the V5 registration document – must also be displayed and legible. It’s often found at the base of the windscreen, or on a stamped metal panel under the bonnet. It goes without saying that all four wheels need to be securely attached to the car, with no bolts missing. Rims will also be examined for damage, including distortion or cracks, and the condition of the wheel bearings is assessed. With regard to tyres, the law states that tread-depth must be: “At least 1.6mm throughout a continuous band comprising the central three-quarters of the breadth of tread around the entire outer circumference of the tyre”. If your tyres are close to this limit, you may be given an advisory warning that new rubber is required soon. Testers will also check the tyres for cuts or bulges, and ensure that the same-size tyres are fitted on each axle. The spare wheel is not part of the MOT test, but it must be mounted securely if outside the car. Windscreen damage is a common cause of MOT failure. Chips or cracks must measure less than 10mm across if within the area swept by the windscreen wipers. Outside this area, up to 40mm is allowed. The wipers must operate correctly and the rubber blades must be in good condition. Likewise, rear-view mirrors must be secure and not damaged to an extent that could impair the driver’s vision. MOTs are pretty straightforward, however, here are a few things to look out for regarding cost and where to get one. There are the obvious places to look online and in directories, however, the best place to go is a place you trust, a reputable garage that has been recommended to you - you can find many using our RAC-approved garage network. The amount you pay for an MOT test fluctuates depending on the type of vehicle - but there is a maximum charge. Those fees are listed in full on the GOV.UK website. In summary however, the maximum MOT fee for a car with up to eight passenger seats is £54.85. For a motorcycle it's £29.65. Generally, the larger the vehicle the higher the maximum fee. Council MOT centres are council run test centres that do not carry out repairs. For this reason, many people believe they are a better place to get an MOT done as they do not have a vested interest in failing and charging for repairs. However, the data to support this is purely qualitative. By which we meant here are only written testimonials expressing that people, from experience, have had better luck getting their car to pass its MOT at a council test centre than at other garages. That's not to say this is incorrect, it's just to say there has never been a definitive study on pass rates at council test centres versus normal garages. Moneysavingexpert.com recommends using a council test centre if your car is in good condition but you suspect it might fail based on minor repairs needed - but for anything major, a reputable garage which repairs on site might be a more economical option. An MOT test doesn't take very long. The test takes around 45 minutes to an hour, and some owners choose to wait while the vehicle is being inspected. Electrical equipment - including headlights, brake lights, indicators and fog lights. Steering - including the strength and condition of the steering wheel. Tyres - including tread depth and condition of the tyres. Suspension - including shock absorbers and any corrosion and wear. Brakes - including overall condition of pedals and brake efficiency. Vehicles registered before 1960 are exempt from needing an MOT. However, this is changing from 20th May 2018, meaning cars that are 40 years old or more will be exempt, unless the vehicle has had substantial changes. Also large goods vehicles and commercial buses will not be included in this exemption. 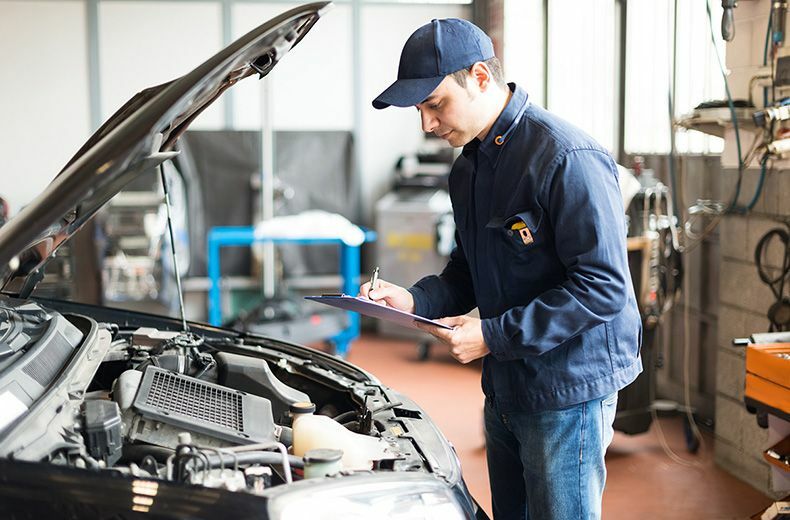 The initial fail rate for Cars, vans and passenger vehicles with up to 12 seats in 2015-2016 was 36.80%, so there's a fair chance you will find yourself in a situation where your car fails its MOT. Read on for all the information you need should you end up in this situation. 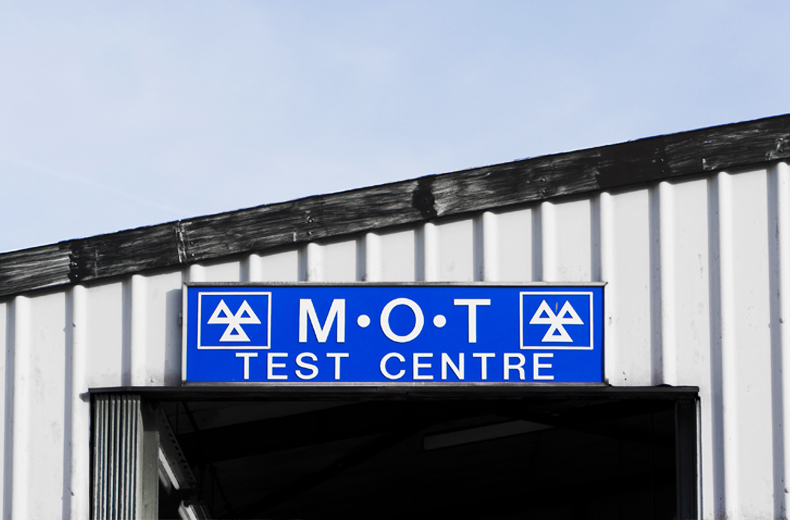 The three most common reasons for MOT failures are faults with lights, suspension and brakes. Below is a list of the categories used on many checks and the associated percentage of failures attributed to them. The information is based on cars and light vans (up to 3,000kg) 2013-2014. If your car or vehicle is judged to have failed its MOT, you will be given what is called a 'refusal' of an MOT certificate. This is referred to as a VT30 form. It will state the reasons for the MOT failure. Technically yes - but only if your existing MOT certificate is still in date and valid. This situation can only occur if you've had the car tested in the month leading up to the expiry date. However, you will still need to get the faults corrected by the MOT's date of expiry or you won't get a new MOT certificate. If the car is not considered roadworthy and you are driving it, you could be stopped and prosecuted. Driving a car that has failed its MOT is never recommended. If your car fails its MOT, the garage or test centre will inform you of any repairs needed. You then have a range of options according to the MOT failure rules. You can leave the vehicle with the garage and ask them to carry out the repairs. Depending on the number of faults and severity of the issues, the car may be repaired and then re-tested later in the same day. The vehicle can have a partial retest, covering the faults that have been rectified. The repairs may be more serious and take longer - but if they're carried out within ten days of the original test, a partial MOT retest is still fine. You can take the vehicle away for repairs elsewhere and bring it back to the original garage or test centre for a partial retest. This retest is free for a range of items, including wheels, tyres, wipers, mirrors and doors. If the vehicle is retested ten days after the original test, you'll be charged the full fee. You will also be charged the full fee if the partial retest fails - once further repairs are carried out. You could also get an MOT retest at a different garage but you are likely to have to pay for that second test in full as they will be testing it for the first time. If you're lucky you will pass without any advisories, but if not then there are still things to consider after your car has been given its clean bill of health. Sometimes, your car may pass its MOT but with an advisory note or notes. These indicate issues with the vehicle that haven't been deemed serious enough for it to fail its MOT but will need addressing in the near future. Think of them as warnings and advice. Although your car has been passed fit to drive, advisory notes shouldn't be ignored. 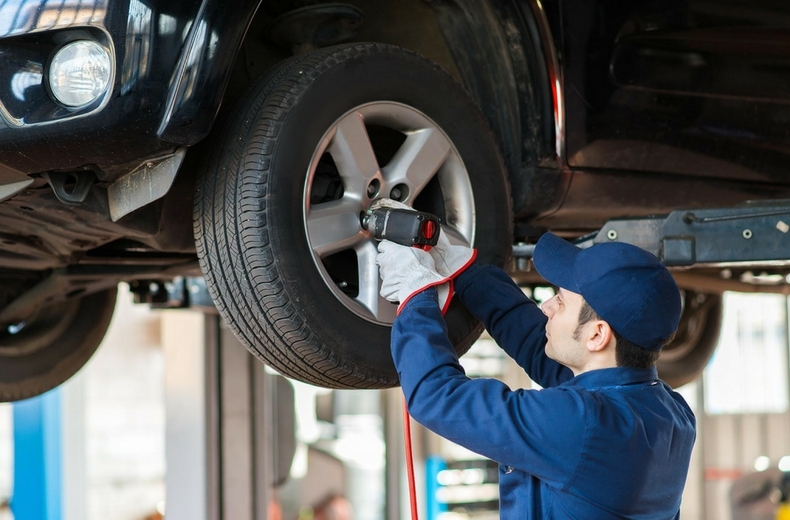 Typical issues might be tyres that are getting close to having the minimum tread depth and will need replacing soon, or brake pads showing signs of being worn. If advisory notes are ignored, there's a good chance your car may fail an upcoming MOT test. It may also have an effect on resale value as any buyer will be aware of the need to make repairs.